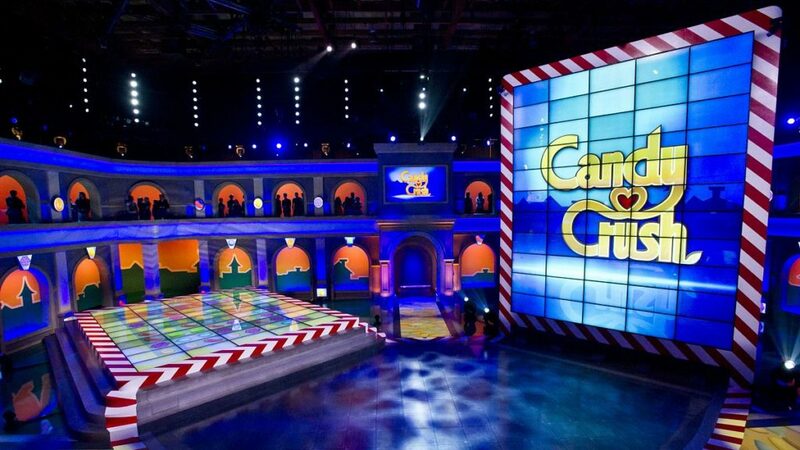 To create a full-fledged immersive environment for a game show based on the immensely popular app “Candy Crush Saga”—normally played on tiny screens—it took a mix of some sweet technology, a dash of imagination and a sprinkling of whimsy. 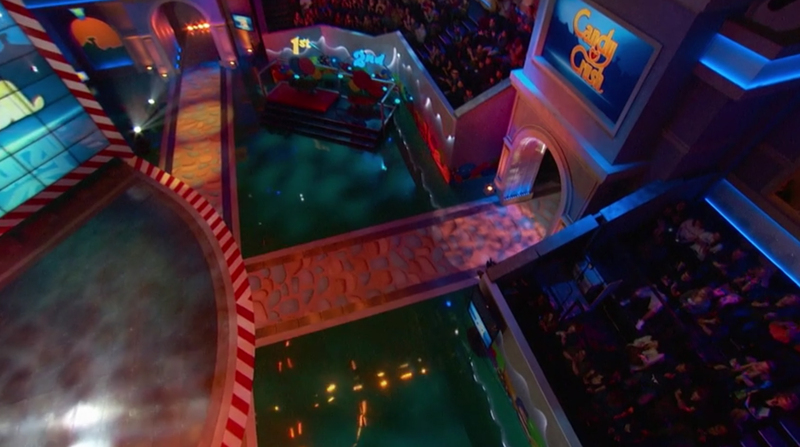 Gameplay takes place inside a large space that’s part gladiatorial arena, part sugary palace. Perhaps it’s a take on what the “Candy Kingdom” universe the app and its various franchises take place in would look like in real life. 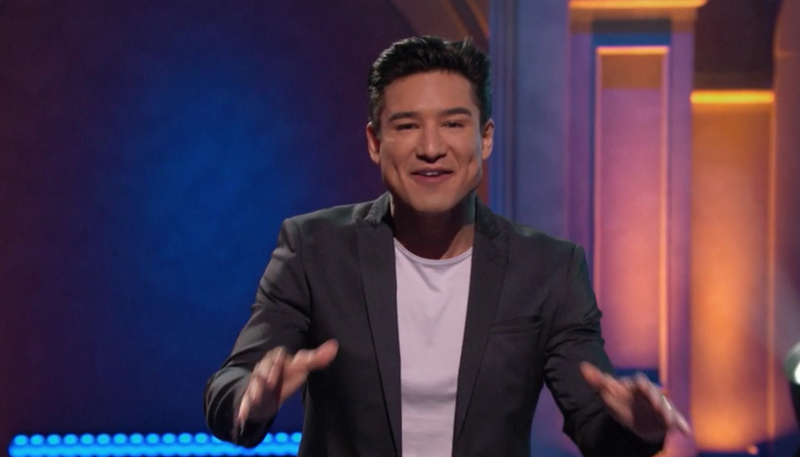 Production design for the show was handled by John Gilles, with lighting design by Oscar Dominiguez. Above the archways are oversized backlit “keystones” that each feature an image of one of the game’s iconic candy gems. The archways themselves are part of a two-story castle-like structure built from a slightly rough material that mirrors the look of poured concrete with a hint of sand castle. Bright, integrated accent lighting splashes bold colors across the surfaces, bringing out the texture of the surface and creating a nod to the game’s colorful palette.